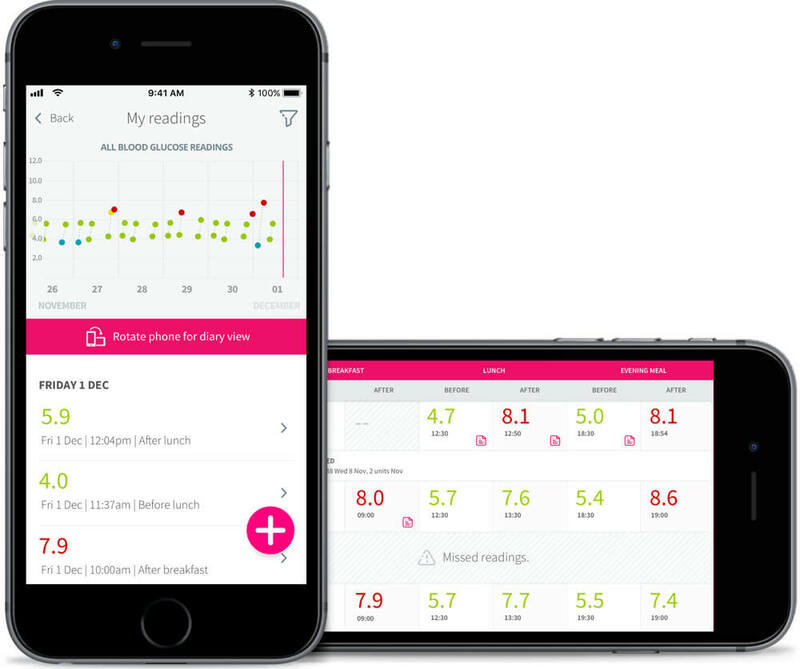 The GDm-Health system comprises a smartphone App which connects to a wireless blood glucose (BG) meter using Bluetooth or NFC (Near Field Communication). A woman’s measurements along with any text-based commentary she wishes to log, or request for call back is then transmitted directly to a clinical dashboard for the multi-disciplinary team to proactively manage. 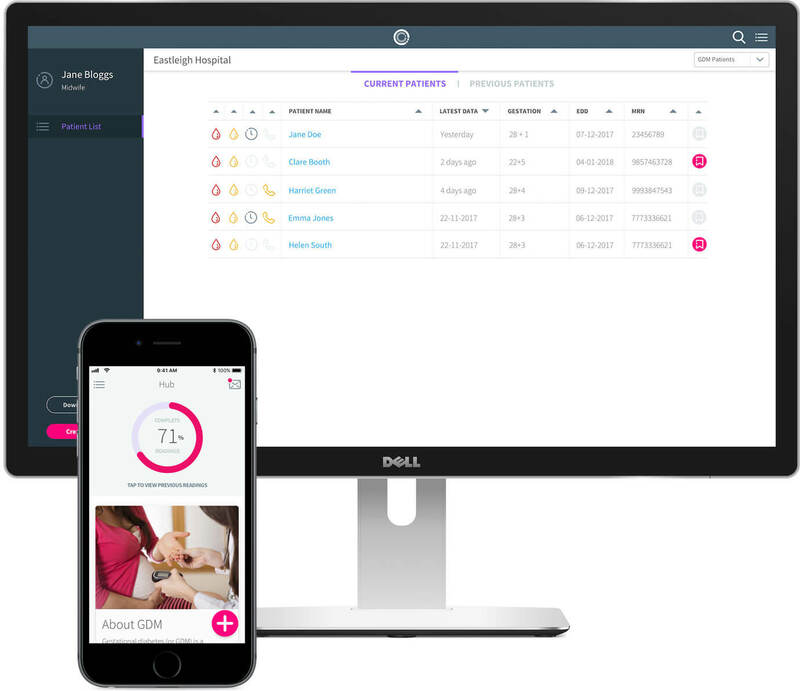 GDm-Health enables clinicians to see at a glance, near real-time blood glucose readings and prioritise care to women most in need whilst maintaining at a glance oversight of all patient cohorts. GDm-Health improves the efficiency of the workflow by streamlining the process of communication between midwives and women. Communication between healthcare professionals through the patient’s GDM tailored digital record enhances team-based care. Listed on NHS Digital Apps Library. NICE approval expected imminently. Self-management, combined with remote monitoring, gives patients greater control of their gestational diabetes and reduces the number of clinic visits. 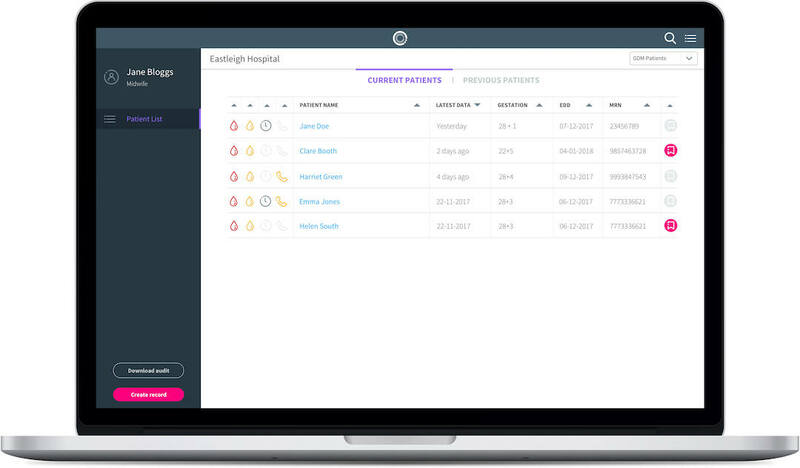 Improves the efficiency of the workflow by streamlining the process of communication between midwives and patients. Patient data is securely stored on the cloud as a completely isolated instance with HSCN connectivity and rigorous data security and privacy. J Diabetes Sci Technol 2014 vol. 8 no.